HANOI -- Thousands of Vietnamese set fire to factories and rampaged in industrial zones in the south of the country after protests against Chinese oil drilling in a part of the South China Sea claimed by Vietnam, officials said on Wednesday. The brunt appears to have been borne by Taiwanese companies in the zones in Binh Duong and Dong Nai provinces as rioters mistook the firms to be Chinese-owned. Vietnamese officials gave few details, but said gates to factories were smashed and windows were broken. Police said they were investigating. 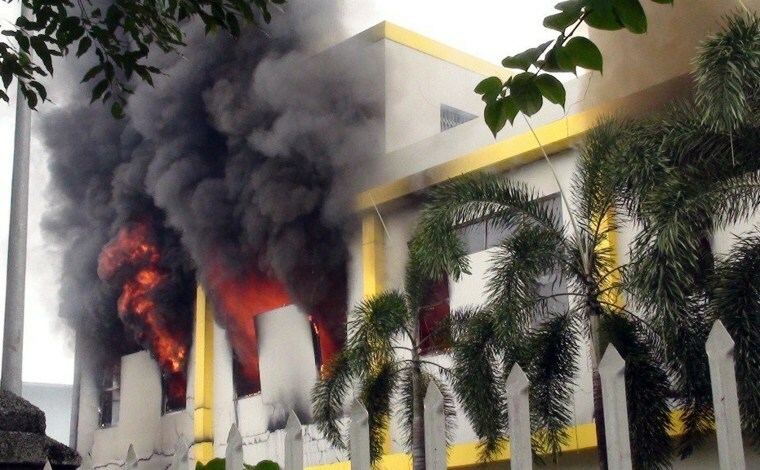 A Singapore foreign ministry spokesman said the premises of a number of foreign companies were broken into and set on fire in the Vietnam-Singapore Industrial Parks (VSIP) I and II in Binh Duong. The spokesman said the Singapore government had asked Vietnam to immediately restore law and order, but gave no other details. "About 19,000 workers were demonstrating against China's violation of Vietnam's territorial waters," Tran Van Nam, vice chairman of the Binh Duong People's Committee, told local reporters in the province. "Some workers turned angry, destroying companies' gates and entering the compounds and asking other workers to join a strike." "Everyone is terrified and scared," said Serena Liu, chairwoman of the Taiwan Chamber of Commerce in Vietnam. China has urged Vietnam to "calm down" and respect China's sovereignty, Foreign Minister Wang Yi said in comments to Indonesia's Foreign Minister Marty Natalegawa in a telephone call, Beijing's foreign ministry reported on its website. The spike in tensions over the oil- and gas-rich South China Sea comes just two weeks after U.S. President Barack Obama visited the region and expressed support for long-time allies Japan and the Philippines, both of which are locked in territorial disputes with China. Vietnam is also stepping up ties with the United States.